It would appear that Jeremy Corbyn and the Labour Party are finally coming to terms with their anti-Semitism. The unearthing of a Corbyn Facebook post from 2012 in support of an anti-Semitic mural seems to be the last straw for many. Indeed, this blunder from the Labour leader rounds off a litany of anti-Semitic incidents since he took charge of the Party. 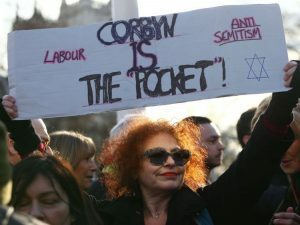 On Monday, luminaries of the British Jewish community – supported by a significant number of ‘moderate’ Labour MP’s – staged a protest on Parliament Square, claiming “enough is enough” and demanding action. They are right to, of course. 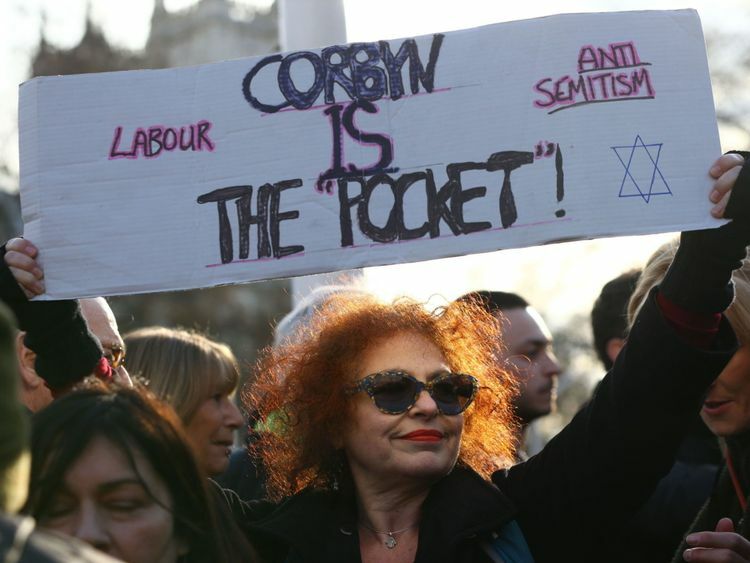 Corbyn’s leadership has attracted and emboldened a new wave of hard-left activists – a significant number of which are instinctively anti-Semitic. In some left-wing circles, ethnic Jews are collectively seen as oppressors – and therefore racism against them is permissible. This theory springs from the fact that Ashkenazi Jews – the largest ethnic group of Jews – are overrepresented in certain positions of power. Despite their tiny population, people of Ashkenazi descent have won roughly a quarter of Nobel Prize awards, make up 4 out of the 9 of U.S. Supreme Court justices and hold up to a third of places in Ivy League universities. However, there is – unsurprisingly – no evidence of a Jewish world order. And it would be utterly obscene to suggest that a Holocaust survivor, for example, is a beneficiary of some sort of Jewish privilege. Clearly, individual members within racial groups have wildly different experiences. But Labour’s problem runs even deeper. In January, the Party was apprehended by the Equalities and Human Rights Commision after a local branch tried to charge cheaper tickets to non-whites for a rally. And last month, they were again reported to the same body for excluding straight white males from its ‘Equalities Conference.’ This was compounded by the subsequent appointment of Munroe Bergdorf to Labour’s LGBT+ advisory board. Bergdorf, a model and trans rights activist, had previously been sacked by L’Oreal for penning a Facebook post gushing with anti-white sentiment. She accused “all white people” of “racial violence” before adding that “your existence as a race is built on the backs, blood and death of people of colour”. Sound familiar? Anti-white racism festers on the Left because whites – just like Jews – are disproportionately successful, and ipso facto, it is alleged that no white individual can be oppressed. According to the likes of Bergdorf, victims of the Telford grooming gang – which specifically targeted white working class girls – are guilty of racial violence and enjoy an unfair advantage in life. Regrettably, it’s not just the Labour Party that humours this view. Both the BBC and Guardian newspaper offer internships exclusively to non-white applicants. The justification is always the same: BME folk – disadvantaged by default – are underrepresented in the media and therefore overrepresented whites – advantaged by default – are barred from applying. By that logic, they should also exclude Jews. The truth is that whilst anti-white racism and anti-Semitism are analogous, the latter is still a taboo on the mainstream Left. That is why Labour ‘moderates’ are protesting their leader, why Bergdorf would have never been hired if her comments were aimed at Jews, and why left-leaning nodes would never be systematically anti-Semitic. But you cannot oppose anti-Semitism and condone anti-white racism without being hypocritical. And you cannot fight racism if you characterise people by their ethnic background. We need to look beyond lazy generalisations and analyse the unique challenges individuals face on a case-by-case basis. That way, we can help those who really do need it – irrespective of their race. A bit of soul searching from the Left is certainly timely, but they still have a long way to go. Don’t expect another grovelling apology from Corbyn any time soon.